Search Results for "para gliding"
Group of para gliders following valley into distance. Mountain range & green lush landscape below. Paragliding para gliding blue lagoon scenery. Place for takeoff paraglider. Flight in tandem with an instructor. 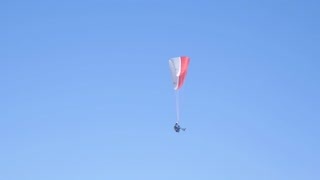 Paragliding take off. Flight from the mountain. Aerial. Paragliding in mountains. 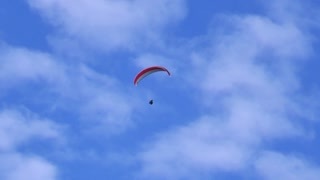 Para gliders in fight in the mountains, extreme sport activity. Para glider's feet with island and ocean below. Footage of a Para-glider flight above the French alps and Mont Blanc in Chamonix in the French Alps. Boat towing Parasailor in Honolulu on the island of Oahu, Hawaii.